Don’t find yourself stuck without an emergency or backup power supply. The P.O.D. Box, or Power On Demand, is essential if pumping needs go beyond cloudy and low-light days. 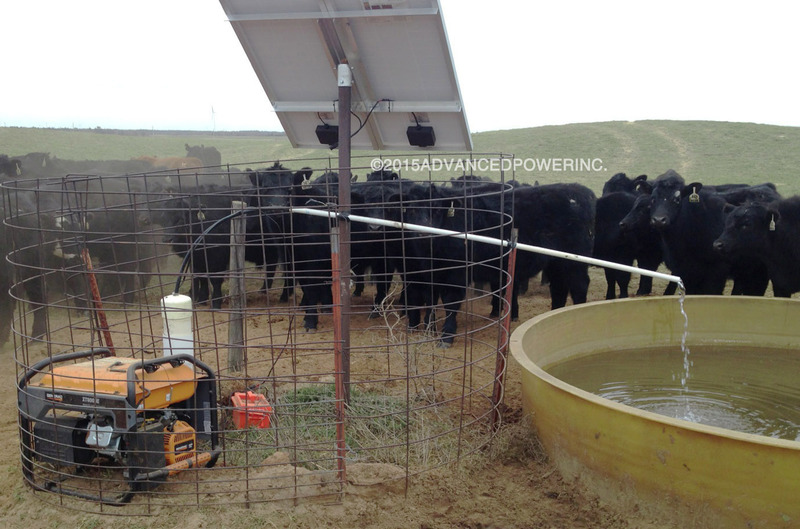 Pump water via the solar pump at any time by plugging into the P.O.D. Box. Because solar panels are a DC source of power, most have DC motors and cannot be powered by an AC power source alone. This Power On Demand Box can be used with other 24VDC powered products. Not recommended as a pump’s permanent power source. Converts 110 VAC to 24 VDC. 8’ FM Connector to plug into pump. 8 ft. universal power cord. 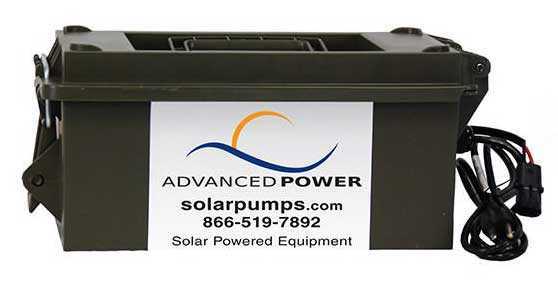 To supply water anytime: connect a 110-120 VAC to a 24 VDC converter 110V generator or 110 VAC electrical outlet and the P.O.D. Box to get power for the DC motor solar pump.